We’ll take a break from our DC Comics Presents issues and take a look at the great event that will be a focus in our comic over the next several weeks, Crisis On Infinite Earths. I will have a short Spotlight on the event and then go a little more in-depth with information from my “Crisis On Infinite Earths Compendium“. Substituting for Guest Host Jimmy Anderson, who was substituting for Russell Bragg, will be Russell Bragg. 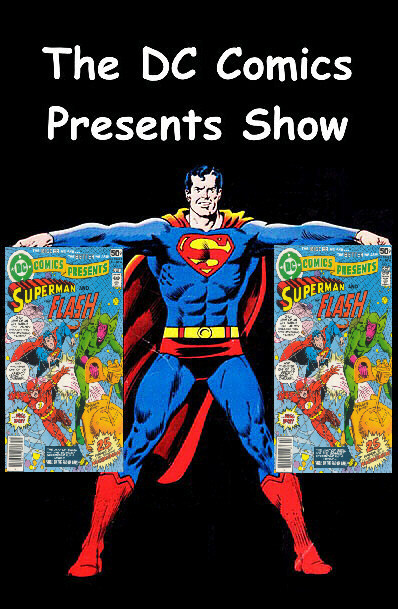 (all will be explained during the episode) This time around we’ll be getting into DC Comics Presents #83. First off, I will be bringing you some Listener Feedback. (Yes…I grovel for more email, comments and I-Tunes Reviews.) 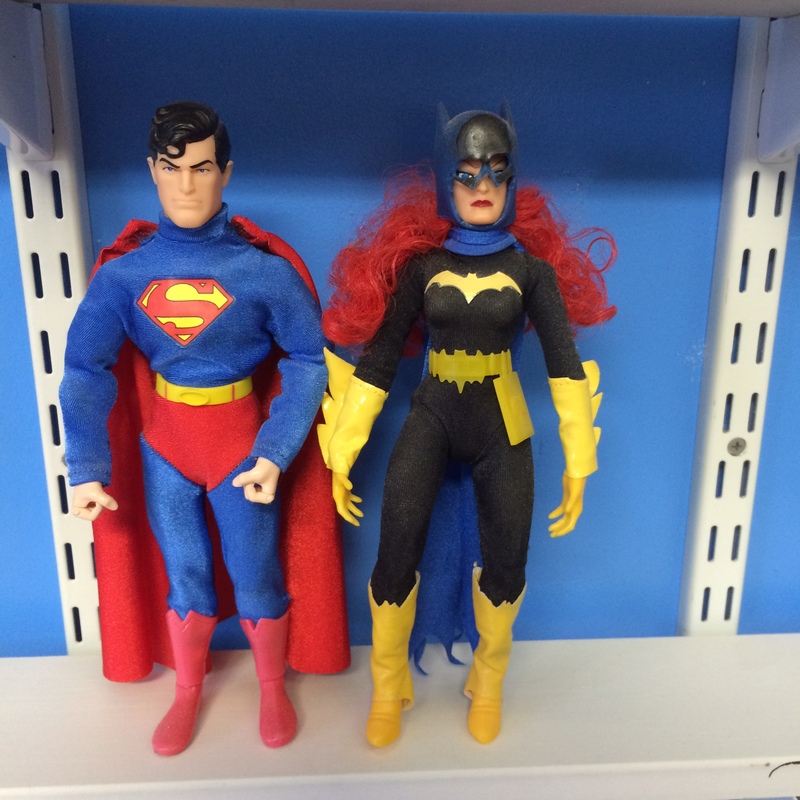 Next, we’ll have a Spotlight on Superman‘s Guests, Batman & The Outsiders. After that, we will delve into today’s issue, DC Comics Presents #83. The episode closes with a trip to the Comic Spinner Rack. This time out I will be bragging about the “Geeky” Christmas loot I collected this year. I also go over my comic/geeky “New Year’s Resolution” from 2017 to see if I was able to complete and a create new list for 2018. This episode will feature the podcast styling of Guest Host, Charlie Niemeyer. He will be going through all of the regular DC Comics Presents Show’s segments, but in the unmatchable Charlie Niemeyer podcasting style. First, Charlie has a Comic Brag to talk about. Then you will hear a Spotlight on Superman‘s Guest, Clark Kent. Next, Charlie takes you through this week’s issue, DC Comic Presents #79. 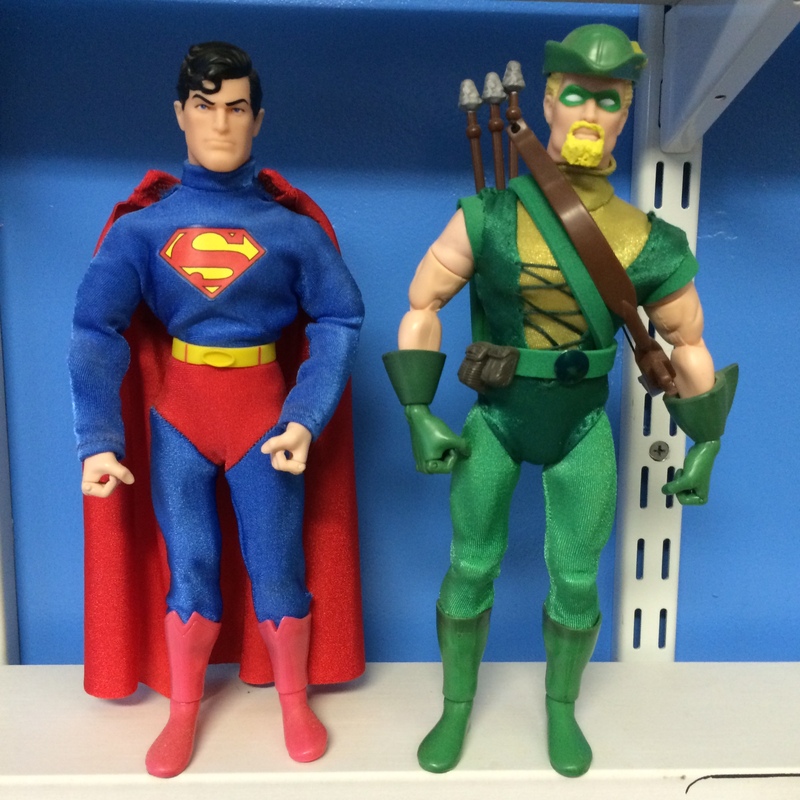 Charlie closes out the show with a trip to the Comic Spinner Rack. This time out, we’ll be getting into DC Comics Presents #70. The show starts with some Listener Feedback and I give an update for Facebook Page Likes and I-Tunes Rating. (and I grovel for more email, comments and I-Tunes Reviews) After that, we move on to everyone’s favorite segment; Russell’s Comic Brag, where I get to talk about another comic purchase. 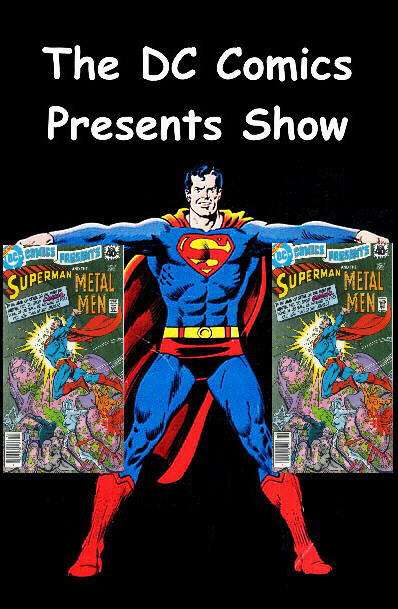 Then, we have a Spotlight on Superman’s Guests, The Metal Men. 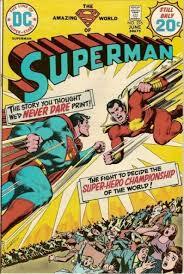 Next, we will delve into our issue, DC Comics Presents #70. Then, we take a trip to the Comic Spinner Rack. The show closes on a cliffhanger! This time out, we’ll be getting into DC Comics Presents #69. The show starts with some Listener Feedback and I give an update for Facebook Page Likes and I-Tunes Rating. (and I grovel for more email, comments and I-Tunes Reviews) Next, we move on to everyone’s favorite segment; Russell’s Comic Brag, where I get to talk about another comic purchase . Then, we have a Spotlight on Superman’s Guests, Blackhawk. Next, we will delve into our issue, DC Comics Presents #69. The episode closes with a trip to the Comic Spinner Rack. This time out I will be catching you up on what I’ve been up to since I last put out a podcast episode. Even though it’s not Halloween yet, I try to give this episode that type of feel. ENJOY! This time out, we’ll be getting into DC Comics Presents #53. We begin the show with a Russell’s Comic Brag segment. Next, I will be presenting a Spotlight on Superman‘s Guest, The House Of Mystery. In this issue, along with our Superman/House Of Mystery story, I will also be presenting a 16-Page Comic Preview for “Atari Force“ along with a Spotlight Extra on the team. We close the show with a trip to the Comic Spinner Rack. This time out, we’ll be getting into DC Comics Presents #48. We will start the show with some Listener Feedback. 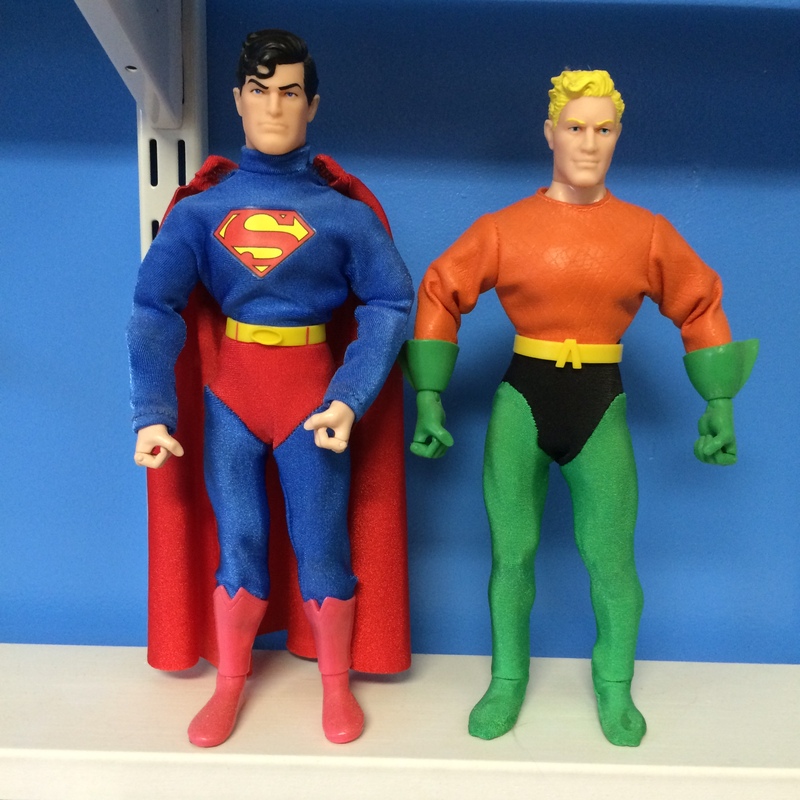 (I also grovel for some I-Tunes Reviews/Ratings) Next, I will be presenting a Spotlight for Superman’s Guest, Aquaman. Then, I will present DC Comics Presents last installment of the Whatever Happened To?! back-up feature. This time around we learn what happened to The Black Pirate, plus I will present a Spotlight Extra on the character. Finally, we will take a trip to the Comic Spinner Rack. This time out, we’ll be getting into DC Comics Presents #47. Due to the length of the Spotlight segment, we will forego Listener Feedback. 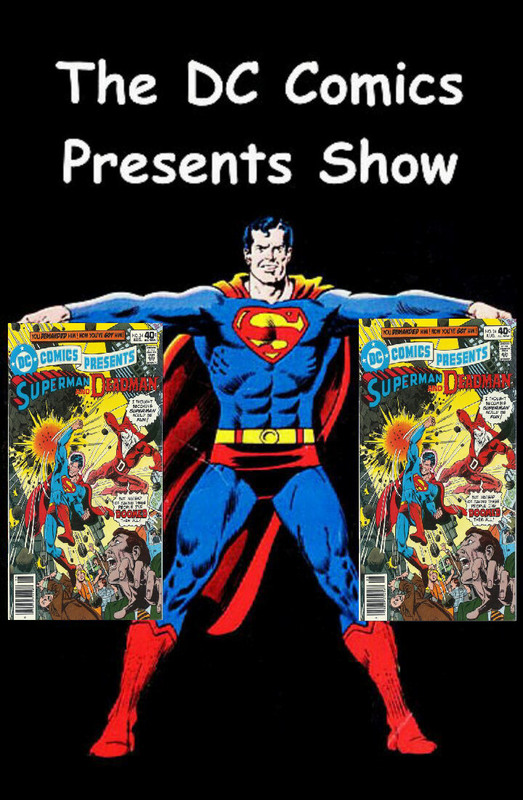 So our Episode will open with a Spotlight for Superman’s Guest, The Masters Of The Universe. Our “Whatever Happened To..?” segment concludes the Golden Age Sandman story from Episode #42. This time we will find out Whatever Happened To..? to Sandy The Golden Boy. And finally, we will take a trip to the Comic Spinner Rack. Flash #270 – While Barry Allen learns of Professor Gilbert Nephron’s untested process for reversing a criminal’s evil impulses, the Flash must deal with a silent criminal who dresses as a clown and uses deadly gadgets. Flash #271 – The Flash escapes The Clown’s bomb blast. Meanwhile, several other plots are unfolding; Iris’ frustration towards her husband grows, the Flash continues to be sought by a female stalker, and Barry finally witnesses Dr. Nephron’s controversial criminal-rehabilitation procedure with Clive Yorkin. If that’s not enough, The Clown prepares his next caper by kidnapping two politicians and the president of the power company. He traps the Flash and places him atop an acrobatic gyroscope along with the other men. The four try to balance themselves on the electrical power-lines, while the Clown strikes a sinister chord causing the sputtering wires to smoke. This time out, we’ll be getting into DC Comics Presents #46. We will start the show with some Listener Feedback. (I also grovel for some email and I-Tunes Reviews) Next, the long-awaited return of Russell’s Comic Brag. I bring two books, not just one! 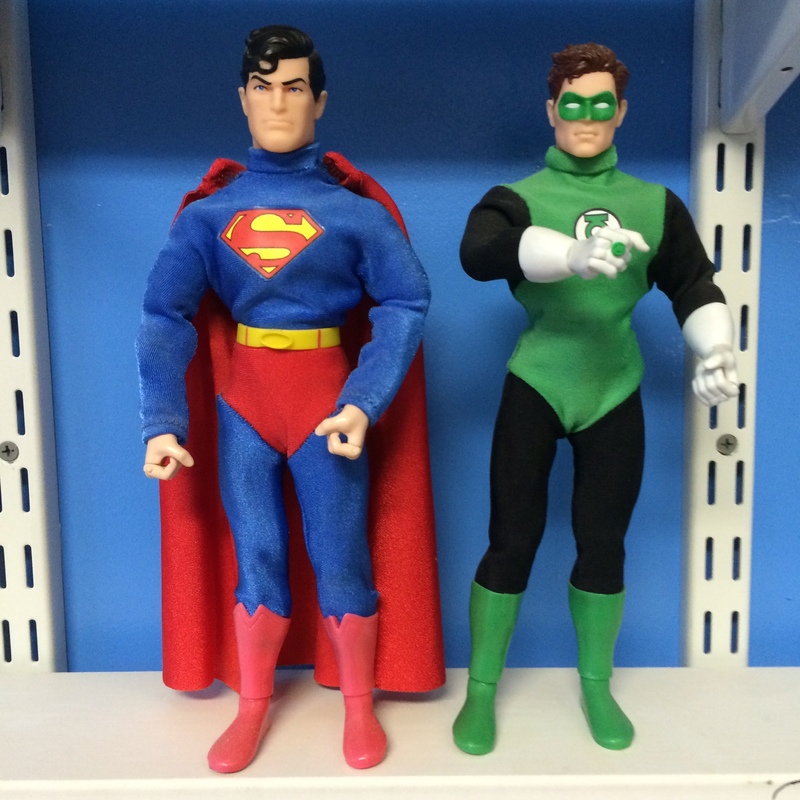 Next, I will be presenting a Spotlight for Superman’s Guests, The Global Guardians. And finally, we will take a trip to the Comic Spinner Rack. This time out, we’ll be getting into DC Comics Presents #44. We’ll begin the episode with some Listener Feedback, a back-and-forth from the Facebook page plus a new I-Tunes Review. I will be presenting a Spotlight for Superman’s Guest, Dial ‘H’ For Hero. Sadly, we may have come to the end of the Hostess Ad era! Very SAD! And finally, we will take a trip to the Comic Spinner Rack. This time out, we’ll be getting into DC Comics Presents #39. We start the episode with some Listener Feedback, including the long-awaited 10th I-Tunes Review. Next up, I will be presenting a Spotlight for Superman’s Guest, Plastic Man. Our “Whatever Happened To..?” segment will delve into Richard Dragon: Kung-Fu Fighter where I will have a Spotlight Extra on him as well as the story itself. This episodes’ Hostess Ad comes courtesy of Tales Of The JSA, hosted by Scott Gardner and Michael Bailey. And finally, we will take a trip to the Comic Spinner Rack. A three-issue limited series published in 1981. 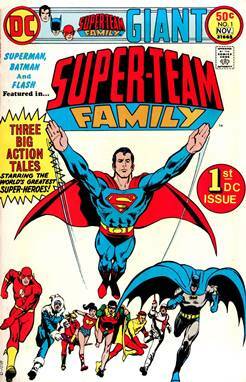 The series explores the genealogy of Superman’s birth-family, the House of EL. A shorter episode this time out. We’ll be getting into DC Comics Presents #36. We’ll begin the episode with some Listener Feedback, plus a Facebook Page update. Then we’ll go straight to the “Russell’s Comic Brag” segment. 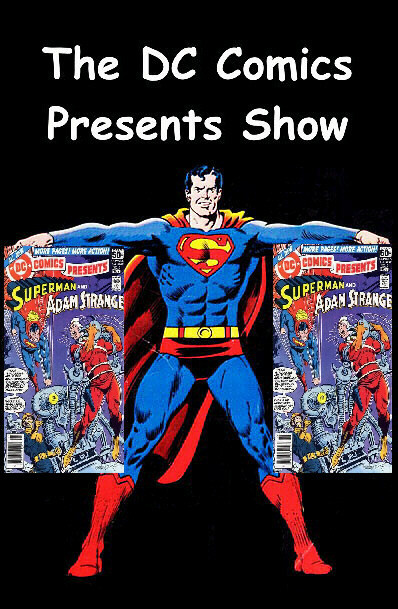 I will be presenting a Spotlight for Superman’s Guest, Starman. Another Hostess Ad, performed by Charlie Niemeyer. And finally, we will take a trip to the Comic Spinner Rack. The Superman Revenge Squad attempts to lure the Man of Steel into an other-dimensional trap with a Clark Kent android. This time out, we’ll be getting into DC Comics Presents #33. We’ll start this episode with some Listener Feedback and then go straight to the “Russell’s Comic Brag” segment. I will be presenting another “extra long” Spotlight for Superman’s Guest, Shazam! Our “Whatever Happened To..?” changes to “Whatever Will Happen To..?” for this one episode. There, we will delve into the character Star Hawkins where I will have a Spotlight Extra on him as well as the story itself. SORRY..I had to create another Hostess Ad. And finally, we will take a trip to the Comic Spinner Rack. Superman is warned about a lizard-being from the 420th Century, the Quakerer, who has the power to change his own appearance or that of other beings or objects, and who has come back to the 20th Century to find a weapon that will destroy the humans of the future. The Quakerer is disguised as one of Clark’s neighbors, but he does not know who. And Clark Kent and several of his neighbors, one of whom is the Quakerer, are stranded in the past by a strange bus-ride. This time out, we’ll be getting into DC Comics Presents #32. We’ll start this episode with a “Russell’s Comic Brag” segment. I will be presenting “an extra long” Spotlight for Superman’s Guest, Wonder Woman. Our “Whatever Happened To..?” segment will delve into the Mark Merlin & Prince Ra-MAN where I will have a Spotlight Extra on the character or characters (I never did figure that out) as well as the story itself. And finally, we will take a trip to the Comic Spinner Rack. Biochemist Karl Keller has been imprisoned in a forced labor camp after criticizing his country’s leadership. Keller escapes after discovering some Kryptonian chemicals that when ingested give him an explosive punch. The scientist then comes to America where he becomes a boxer called the One Punch Kid. During one match, Superman disguises himself as Keller’s opponent and is surprised when a punch knocks him down. Later, Keller creates a costumed identity for himself called the Annihilator. He holds a grudge against Superman, since the Man of Steel did not free him from the labor camp. The Annihilator then becomes a super-villain and his punch is able to best Superman. The Man of Steel is forced to retreat in order to develop a strategy against his newest foe. This time out, we’ll be getting into DC Comics Presents #31. We’ll start this episode with an email and some more talk about the Facebook page. I will be presenting the Spotlight for Superman’s Guest, Robin The Teen Wonder. Our “Whatever Happened To..?” segment will delve into the Golden Age Robotman where I will have a Spotlight Extra as well as the story itself. And finally, we will take a trip to the Comic Spinner Rack. Introduction by Carmine Infantino. 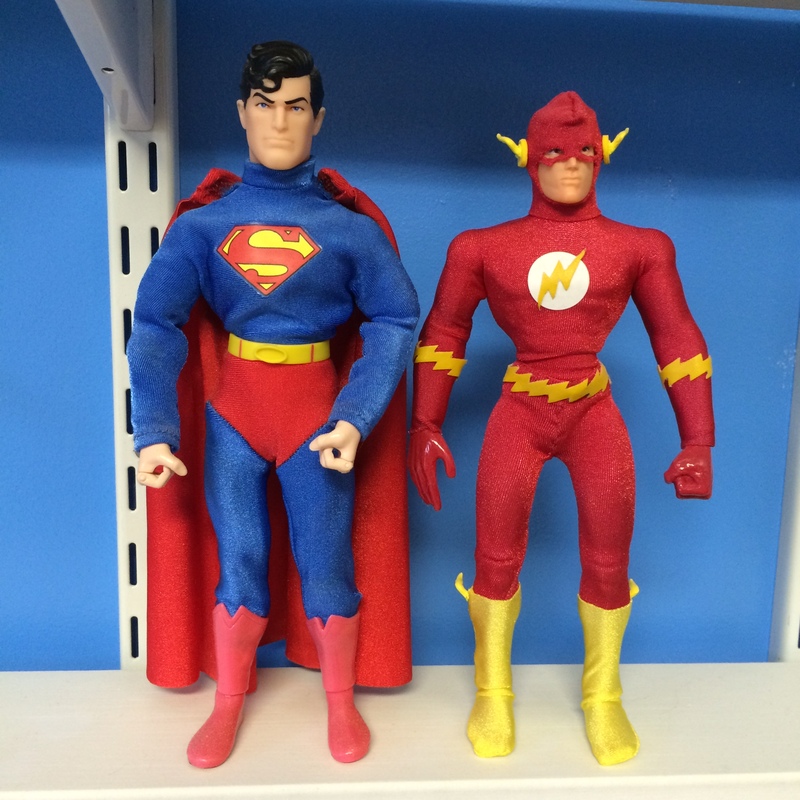 Featuring the history and creation of DC characters herein featured. 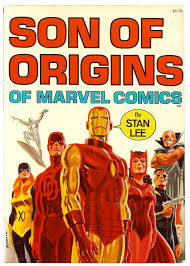 Origins included in this book: Superman: Action Comics #1 and Superman Metropolis Edition from 1973; Batman: Detective #33 and Batman #47; The Flash: Flash #1 and Showcase #4; Wonder Woman: Wonder Woman #1 and #20; Green Lantern: All-American #16 and Showcase #22; Green Arrow: More Fun #89 and Adventure #256; Hawkman: Flash #1 and Brave & Bold #34; The Atom: All-American #19 and Showcase #34; Captain Marvel: Whiz #1; Plastic Man: Police #1. This time out, we’ll be getting into DC Comics Presents #30. We’ll start this episode with an email and some more talk about the Facebook page. 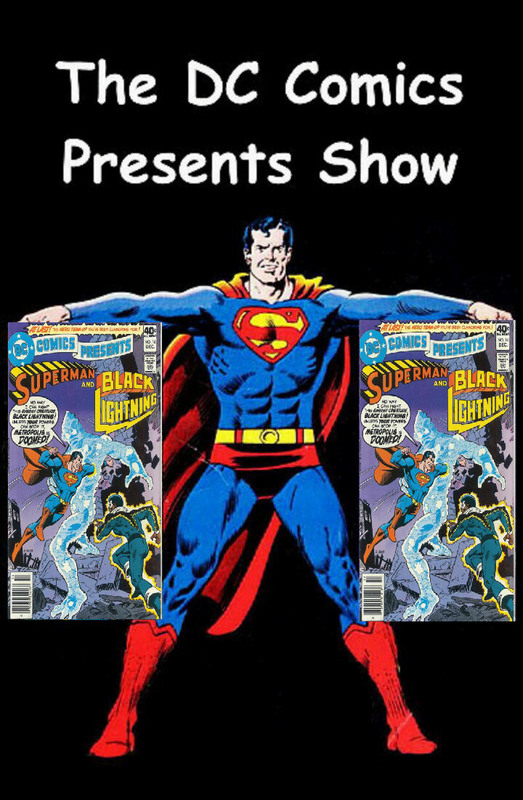 I will be presenting the Spotlight for Superman’s Guest, Black Canary. Our “Whatever Happened To..?” segment will delve into the Golden Age Atom (Al Pratt) where I will have a Spotlight Extra as well as the story itself. GROAN!..another Hostess Ad that I had to create. And finally, we will take a trip to the Comic Spinner Rack. Fireside Book Series – Collects Incredible Hulk (1962-1999 1st series) #3, Fantastic Four (1961-1996 1st Series) #12, Avengers (1963-1996 1st Series) #3, and the Hulk stories from Tales to Astonish (1959-1968 1st Series) #60-75 and 88. Featuring some of the Jade Giant’s earliest adventures including his origin and some of his greatest battles with the Avengers, Sub-Mariner, Fantastic Four, the Ringmaster and his Circus of Crime, the nefarious Leader, and more. Featuring appearances by Rick Jones, Betty Ross, and General “Thunderbolt” Ross, the man who would become the Hulk’s most tenacious adversary. This time out, we’ll be getting into DC Comics Presents #29. We’ll start this episode with an email, a couple of I-Tunes reviews, and some talk about the Facebook page. 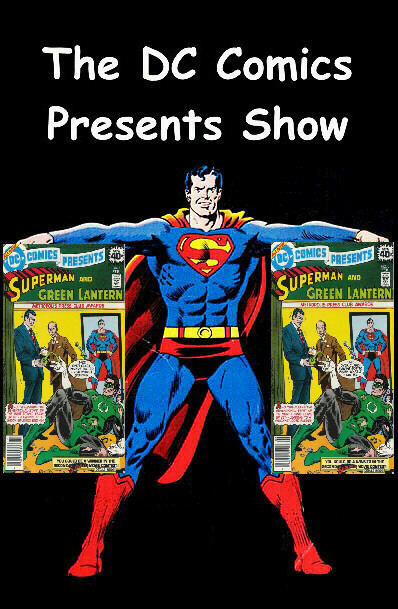 I will be presenting the Spotlight for Superman’s Guest, The Spectre. Our “Whatever Happened To..?” segment will delve into Dr. Mid-Nite where I will have a Spotlight Extra as well as the story itself. Finally, we will take a trip to the Comic Spinner Rack. This time out I will be reading an email and bragging about the “Geeky” Christmas loot I collected this year. 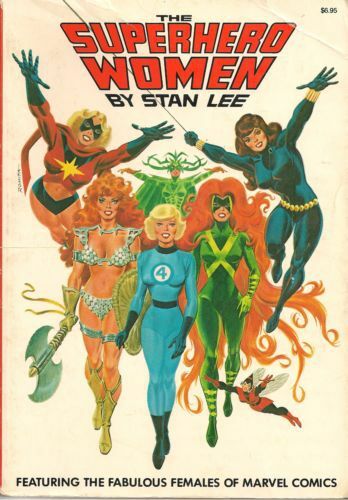 A trade paperback that reprints various superhero battles from the early days of Marvel, all written by Stan Lee. 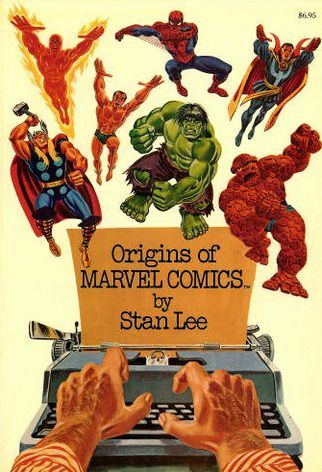 Each issue it prefaced by Stan Lee. There are a total of 12 battles including Hulk versus the Thing, Dr. Strange versus Mordo, Spider-Man versus Kingpin and many more. Super Friends was an ongoing comic book series published from 1976 until 1981. The title adapted the adventures of the popular Hanna-Barbera animated series, The Super Friends and took place outside of the established Pre-Crisis reality. Although the comic title is considered non-canon, the series is notable for introducing the characters that make up the Global Guardians. This time out, we’ll be delving into the fifth story of the comic DC Special Series #21. It’s a Superboy & The Legion Of Super-Heroes story entitled, “Star Light, Star Bright…Farthest Star I See Tonight!” I have a couple of Comic Brags to talk about. Finally, we will take a trip to the Comic Spinner Rack to see what Christmas Comics were available. 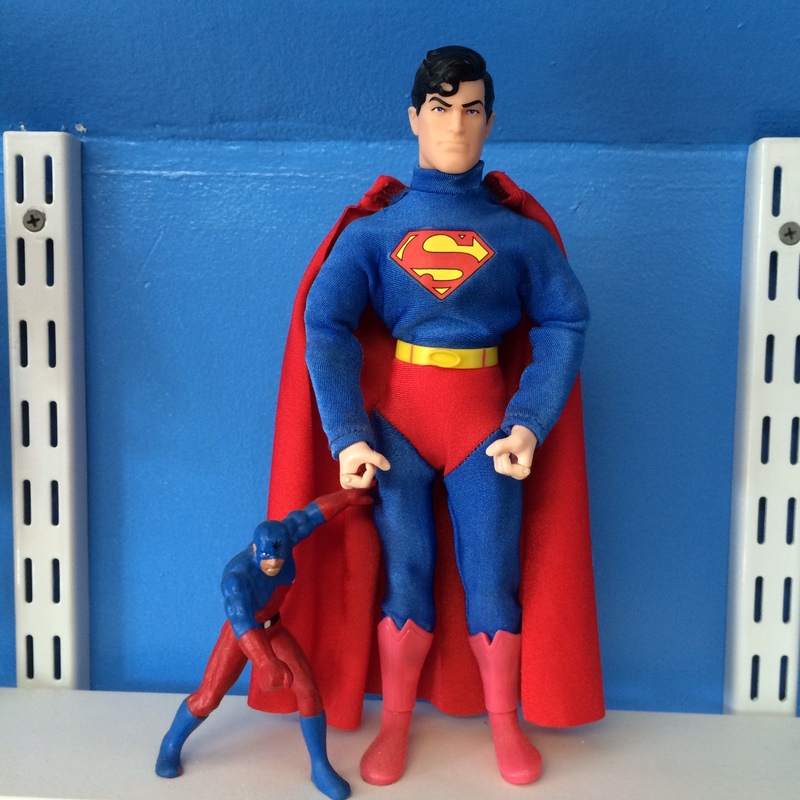 After preventing an armored car heist, Superboy discovers his uniform is replaced with another one! When he goes home, Ma and Pa claim another boy is their son and Superboy. Then when he goes to the attic, Jor-EL and Lara attack him. 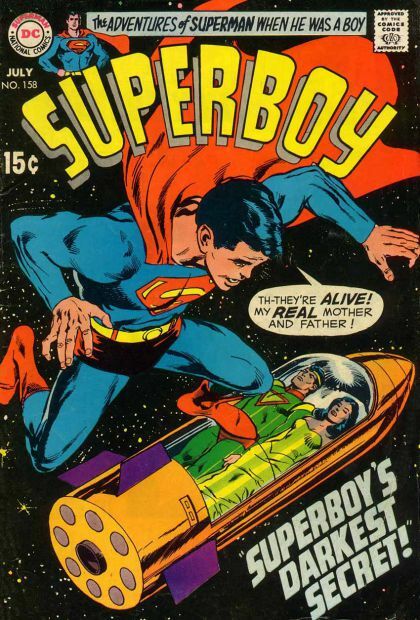 Can Superboy figure out what’s going on and convince everyone that he’s the real Superboy? This time out, we’ll be getting into DC Comics Presents #27. I have one email to read as well as a Comic Brag to talk about. I will be presenting the Spotlight for Superman’s Guest, J’onn J’onnz The Martian Manhunter. Our “Whatever Happened To..?” segment will delve into Congorilla (Congo Bill) where I will have a Spotlight Extra as well as the story itself. Finally, we will take a trip to the Comic Spinner Rack. By RustyB1010  Tagged Andrew Leyland, Bill Stewart, Bronze Age, Congo Bill, Congorilla, Dave McElvenney, Emily Middleton, Fire & Water Podcast, Hostess Ad-Batman, J'onn J'onzz, Jerry Siegel, Joe Shuster, Mark Sweeney, Martian Manhunter, Michael Bailey, Relatively Geeky Podcast Network, Rob Kelly, Shagg Matthews, Superman, Uncovering The Bronze Age, Views From The Longbox, Whatever Happened To...? This episode we will delve into DC Comics Presents #25. I will be doing a Spotlight on Superman‘s Guest Star, The Phantom Stranger. Beginning with this issue, we will be having an 8-Page backup in each issue called “Whatever Happened To..?” So I will be doing a synopsis on that as well as a Spotlight Extra. This time out, we will be talking about Hourman. Plus, we will go to the Comic Spinner Rack to see what other comics were on sale. By RustyB1010  Tagged Back Issue Magazine, Bob Rozakis, Bronze Age, Fire & Water Podcast, Hostess Ad-Batgirl, Hourman, Jerry Siegel, Joe Shuster, John S. Drew, Phantom Stranger, Rob Kelly, Ryan Daly, Secret Origins Podcast, Shagg Matthews, Superman, The Batcave Podcast, Whatever Happened To...? The Maharajah of Sinsubhani brings Superman a rare alien jewel which is capable of great destructive force. 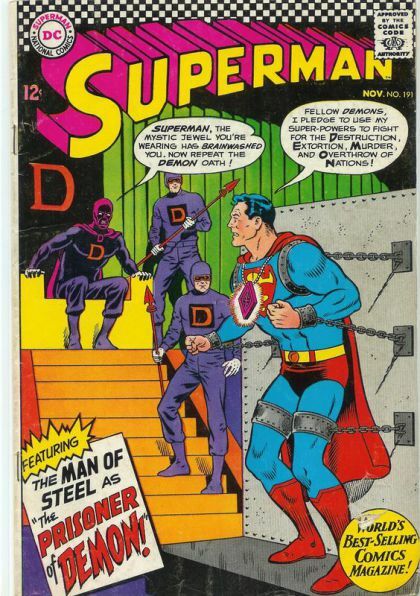 Superman is unable to destroy the jewel, and the evil organization known as Demon seeks to possess it. Superman protects the jewel from Demon despite several attacks from their forces. When Demon holds Lois and Jimmy hostage, he allows himself to be captured. Superman is brought before the leader of Demon and forced to turn over the jewel. Fortunately the leader is an imposter. It is really Prince Krishna, the son of the Maharajah. Krishna has discovered the way to destroy the jewel and does so. He had infiltrated Demon solely for that purpose. With the jewel destroyed, Lois and Jimmy are released. This episode we delve into DC Comics Presents #22. I will be bringing another installment of “Russell’s Comic Brag“. 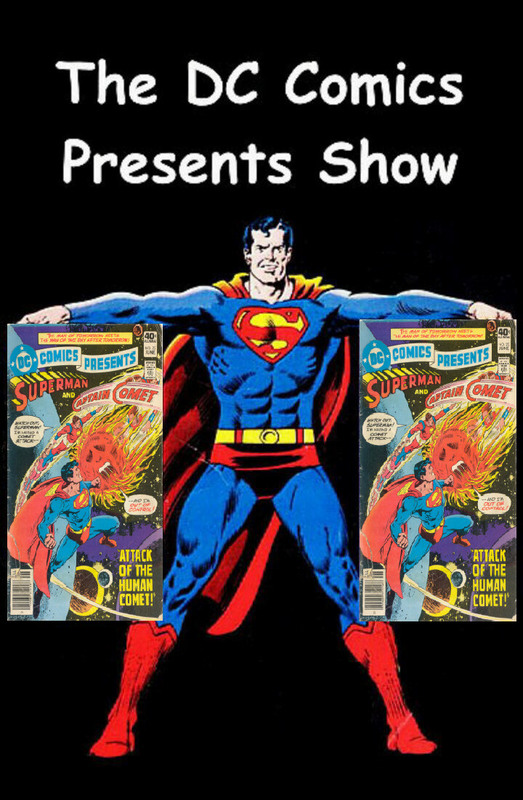 I will be doing a Spotlight on Superman’s Guest Star, Captain Comet. Plus, we will go to the Comic Spinner Rack to see what other comics were on sale. Superman agrees to carry several instruments to an alien world to study an unusual reaction inside that world’s sun. While on the alien planet, the sun changes from yellow to red robbing Superman of his powers. He is able to send a message back to Earth. He meets a race of cave men. One of the cave men steals his costume, then he contracts a fever. Eventually Lois, Jimmy, and an astronomer arrive as part of a rescue party. Jimmy retrieves Superman’s costume and they return to Earth. 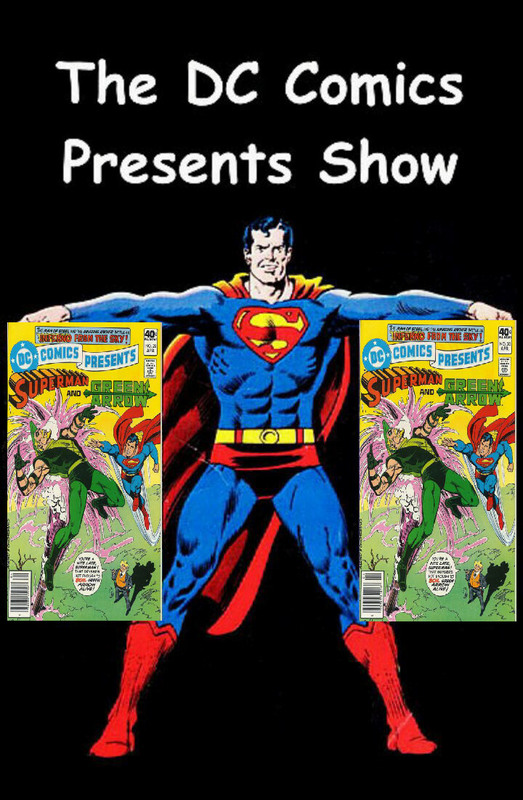 This episode we delve into DC Comics Presents #21. I will be reading a couple of emails and be bringing another installment of “Russell’s Comic Brag“. I will be doing a Spotlight on Superman’s Guest Star, The Elongated Man. Plus, we will go to the Comic Spinner Rack to see what other comics were on sale. the biggest Legion Of Super-Heroes fan I know. 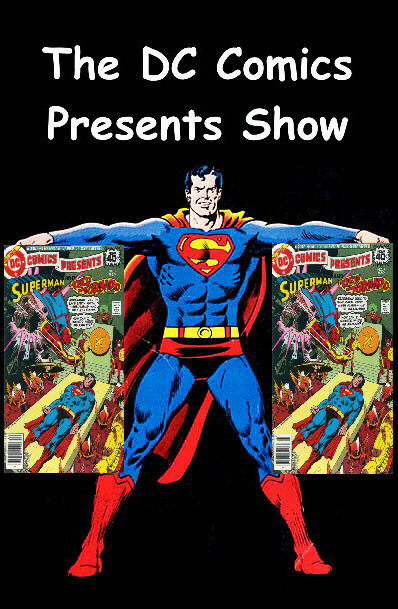 This episode we delve into DC Comics Presents #13. 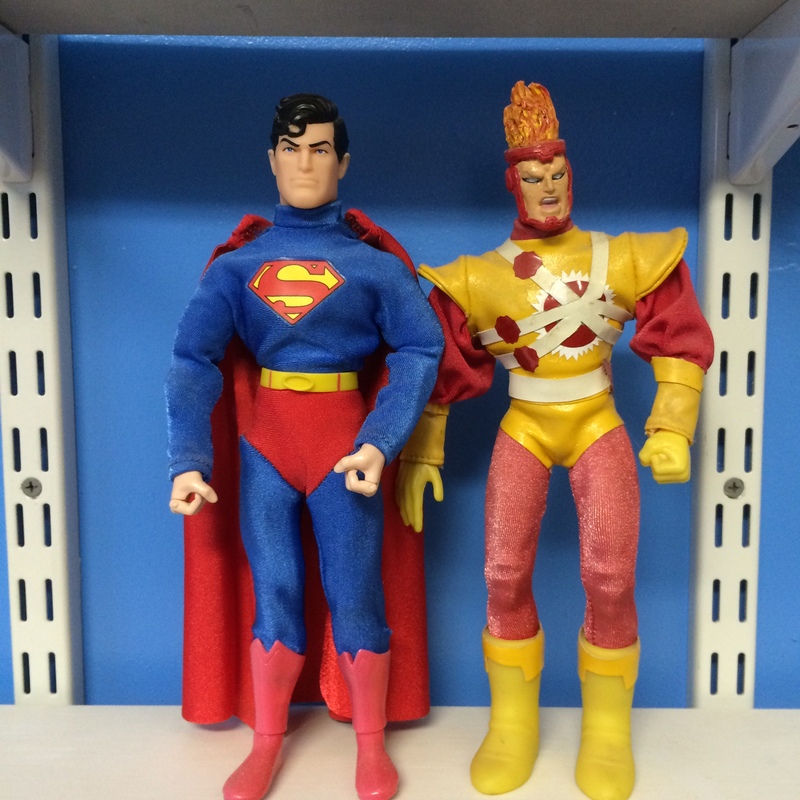 I will be doing a Spotlight on Superman’s Guest Stars, The Legion Of Super-Heroes. Plus, we will go to the Comic Spinner Rack to see what other comics were on sale. Hope you enjoy!! 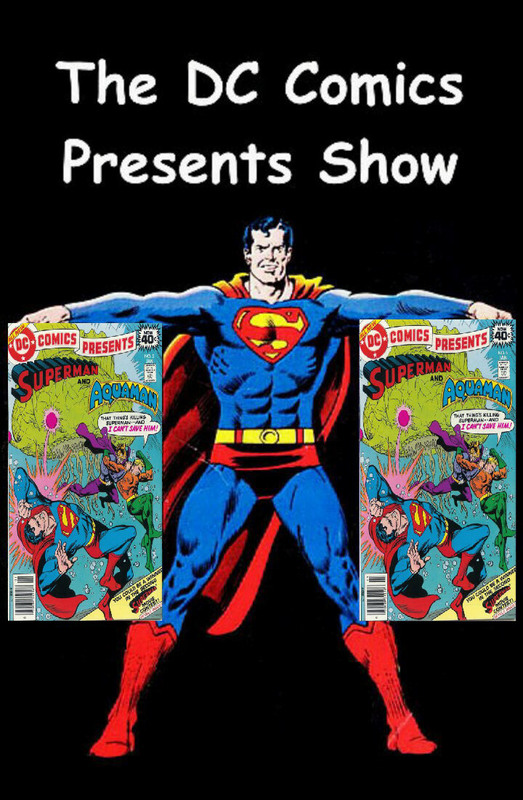 This episode we delve into DC Comics Presents #11. I will be doing a Spotlight on Superman’s Guest Star, Hawkman. I will be reading a I-Tunes Review and talking about some cartoons. Plus, we will go to the Comic Spinner Rack to see what other comics were on sale. There’s also a “cheap” plug for MyComicShop.COM along the way! This episode we delve into DC Comics Presents #7. I will be doing a Spotlight on Superman’s Guest Star, Red Tornado. Plus, we will go to the Comic Spinner Rack to see what other comics were on sale. My affiliation with MyComicShop.COM is mentioned, so click on the link if you want to help out.